Insignia 1.6 Cu. Ft. Over-the-Range Microwave – Just $99.99! Upgrade your kitchen and save counter space with this microwave. This Insignia over-the-range microwave has a capacity of 1.6 cu. ft. and fits most dish sizes. 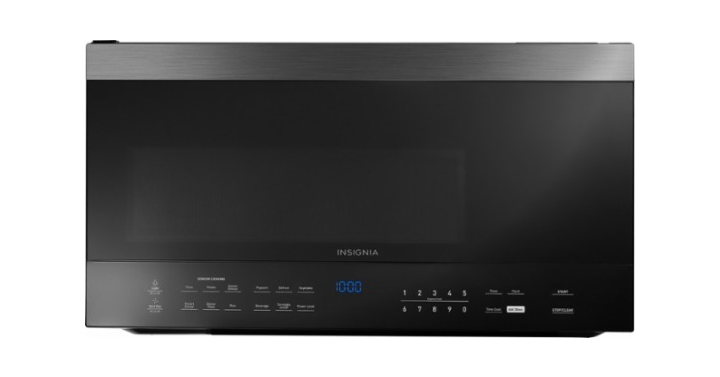 Heat foods quickly with this Insignia countertop microwave. Its Easy Set buttons are programmed for optimum heating of frozen pizza, potatoes, fresh vegetables, meat and more. Get on over to Best Buy and check out the Insignia 1.6 Cu. Ft. Over-the-Range Microwave Priced at just $99.99!